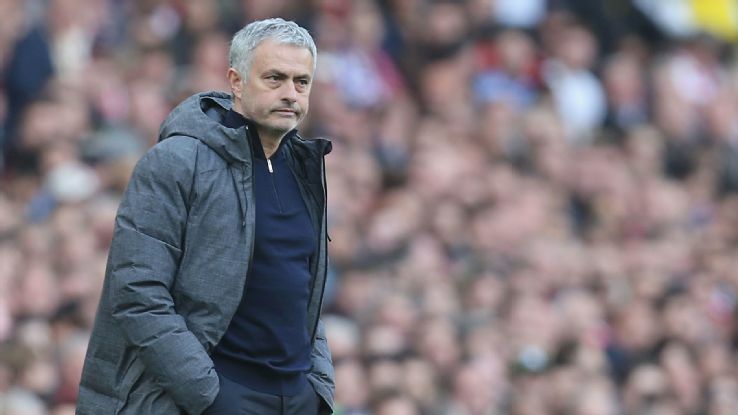 Manchester United boss José Mourinho has conceded that the race for top four no longer involves his club, and that the only route into the Champions League next season is via the Europa League. United face Celta Vigo on Thursday night in the second-leg of their semi-final, and they will take a 1-0 advantage into the tie at Old Trafford. And, it is a must-win tie for Mourinho, who has now said that the Europa League is the only way to bring Champions League football to the Theatre of Dreams for the 2017/18 season. Following his side’s 2-0 defeat to Arsenal at the Emirates this weekend, Mourinho told Sky Sports: “Yeah, all on the Europa League. Like we did today, we tried to play for a result. Regardless of the defeat to Arsenal, Mourinho remained positive about his team’s performance. “I liked very, very much individual performances and I liked [them] collectively,” he said. “We lost because we didn’t score and we had great chances to. They had the luck of [the first] goal. “Apart from that, I cannot ask more from players who do not play one minute of football in the past seven weeks like Smalling and Mata. They were amazing the way they performed. “It was difficult for me to manage the game because the players that I wanted to replace are the players that, in principle, start the game on Thursday. “So, difficult to manage it but I think, in principle, the team was good, was organised, played to win and defended well.